Senators Adebayo and Misau, who are supporters of Saraki, instituted the fresh court action marked FHC/ABJ/CS/872/2018 before a Federal High Court sitting in Abuja on Monday. the majority and deputy majority leaders of the Senate, the Clerk of the Senate, the Deputy Clerk of the Senate, the Senate President, the Deputy Senate President and the Deputy Minority Leader. In the originating summons filed on their behalf by Mahmud Magaji (SAN), the plaintiffs want the Federal High Court to determine whether in view of the provisions of Section 50(1) (a) and (2) of the 1999 Constitution, Saraki, who defected to another political party as a result of the division in his former party, can be made to vacate his office other than in accordance with Section 50 of the constitution. 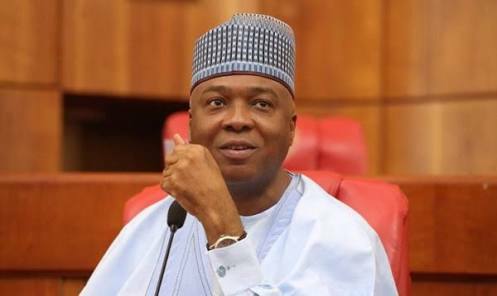 Adebayo and Misau, who represent Kwara-South and Bauchi-Central senatorial districts respectively, also want the court to determine whether Saraki can be compelled to vacate his office on the grounds that he is not a member of the political party with a majority of senators in the Senate in view of the combined reading of Section 50 of the constitution and Order 3 Rule 8 of the Senate Standing Orders. The motion was predicated on seven grounds amongst which were that the agents of the IG and DSS had taken steps to flagrantly breach the provisions of Section 50 by employing their agents to disrupt the plenary of the Senate without recourse to the said provisions. Another grounds were that the constitutional provision of removal of the Senate President does not empower the AGF, police and DSS to unlawfully interfere with the legislative duties of the Senate by causing a blockade at the premises of the National Assembly complex or using their agents to disrupt the lawful duties of the Senate. In a 13-paragraph affidavit in support of the motion on notice and deposed to by Senator Isah Misau, he averred that the Senate was a body recognised and established by the 1999 Constitution vested with powers of making laws for the good governance and well-being of the Federal Republic of Nigeria. The deponent averred that the Senate held a plenary sitting between July 24 and 27 and that it was presided over by its President and that at the end of the sitting members adjourned till September 25. Misau claimed that the All Progressives Congress as a platform for the Senate President had been bedevilled by crises resulting in divisions and factionalisation at the federal, state and local government levels.